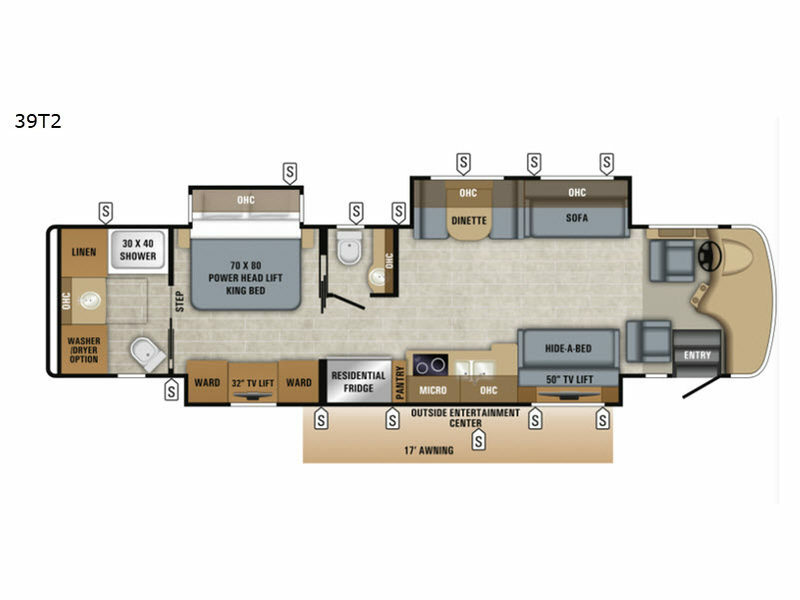 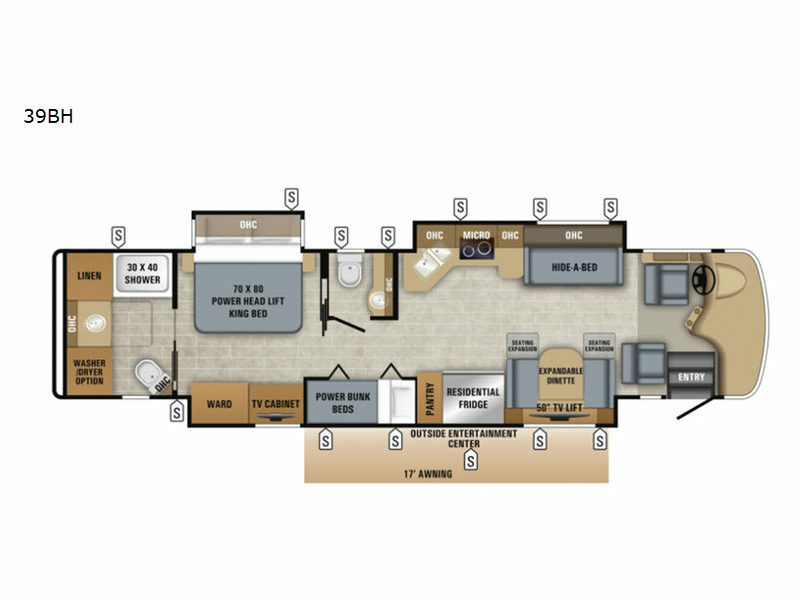 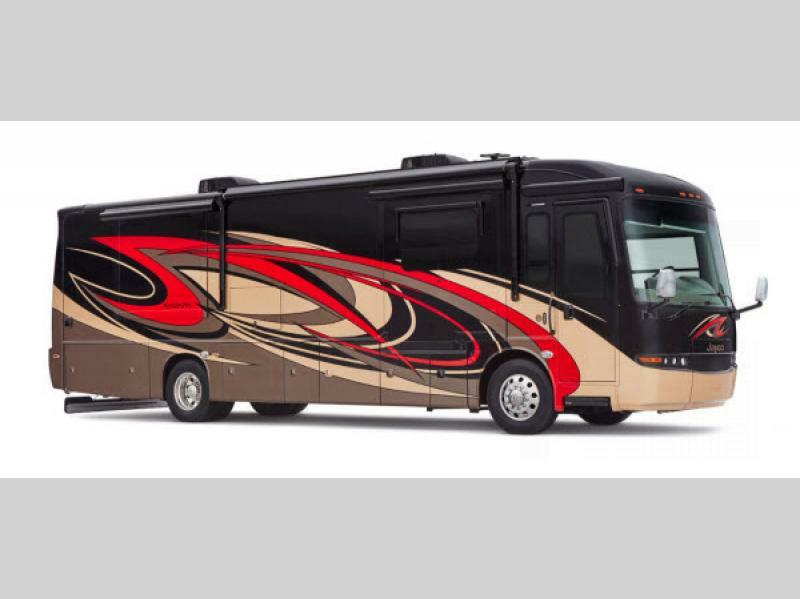 Jayco would like to be the first to welcome you to a new line of luxury with this Embark Class A diesel motorhome. 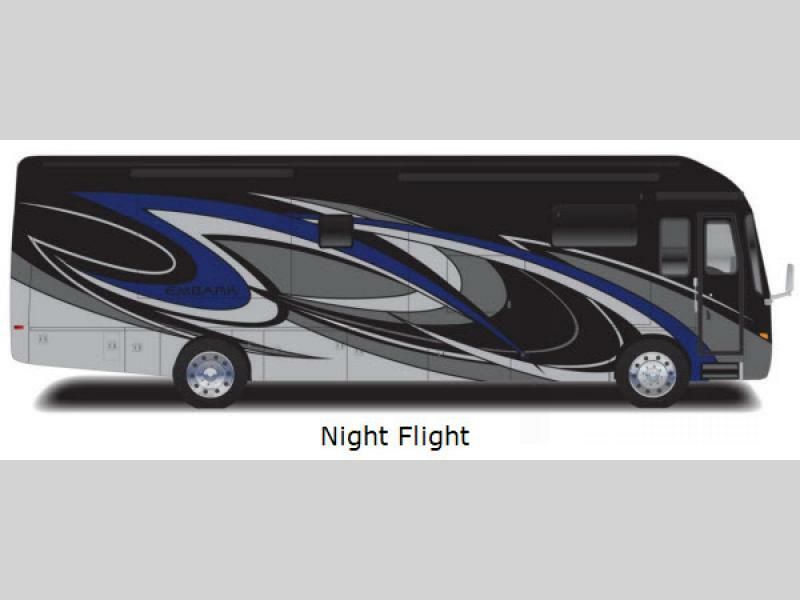 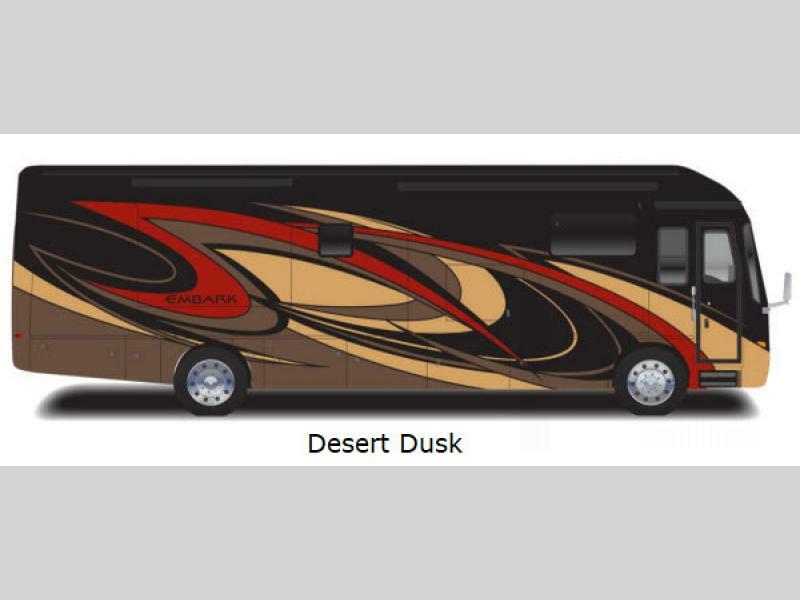 When you travel in one of these all-inclusive and extravagant vehicles, you will forget that you aren't in your own home. 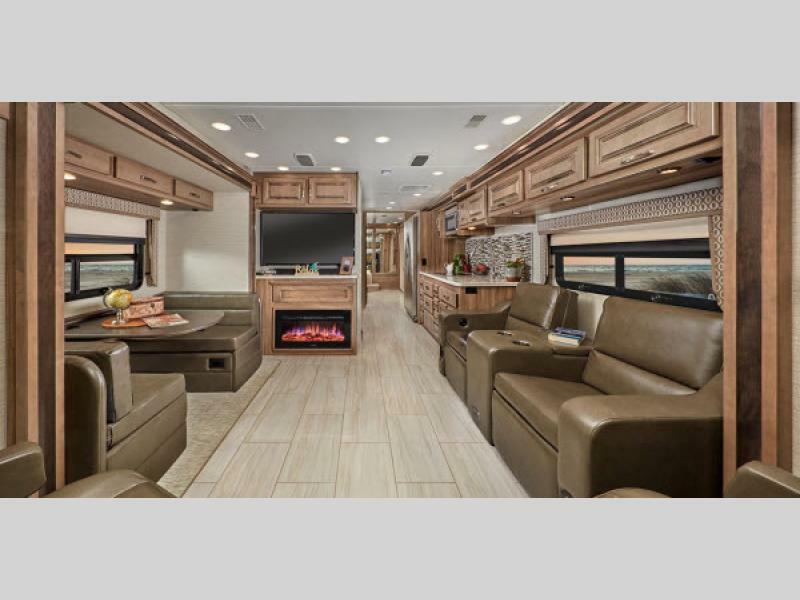 From the Spartan® K1 raised rail chassis, to the Allison® 3000 MH 6-Speed transmission, you will certainly experience the quality craftsmanship that is a part of the Jayco difference. 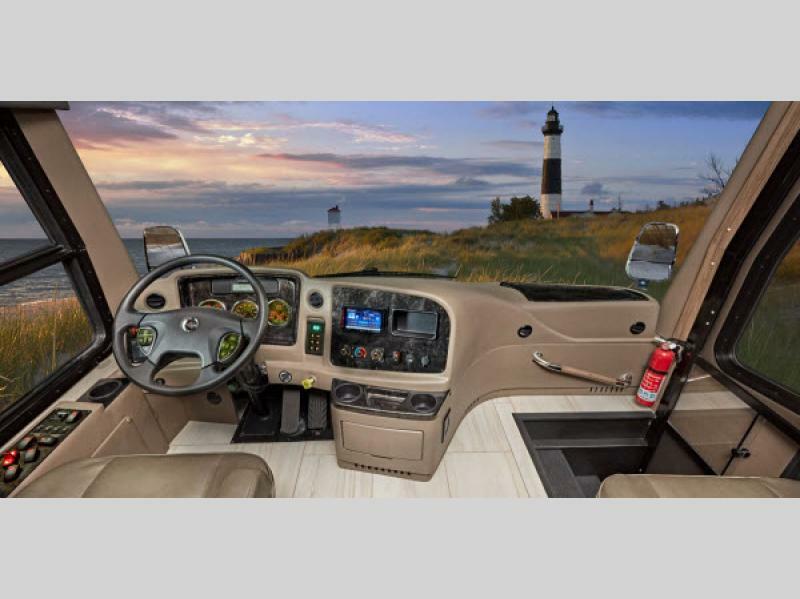 This structure is built upon a solid foundation you can trust with X-bridge frames welded into the chassis frame and a steel-reinforced front cap and windshield frame. 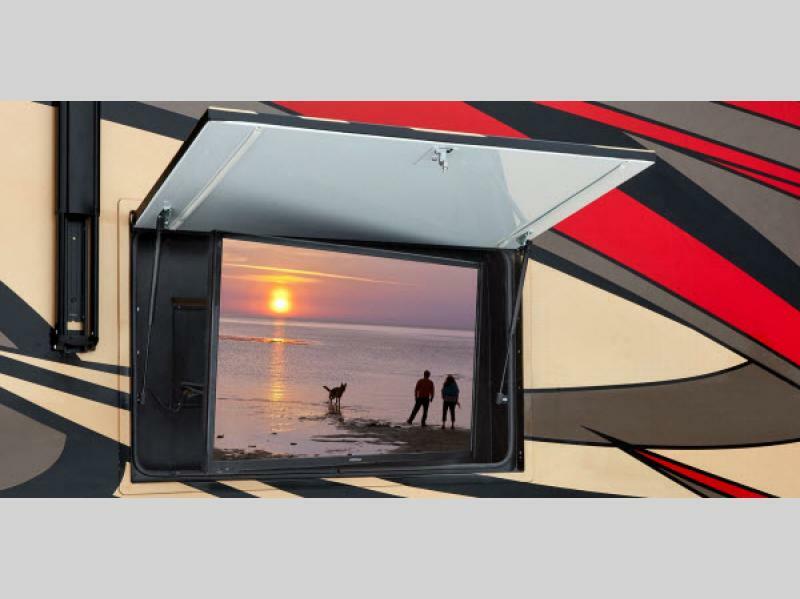 In the Jayco Embark, you will find that style meets functionality. 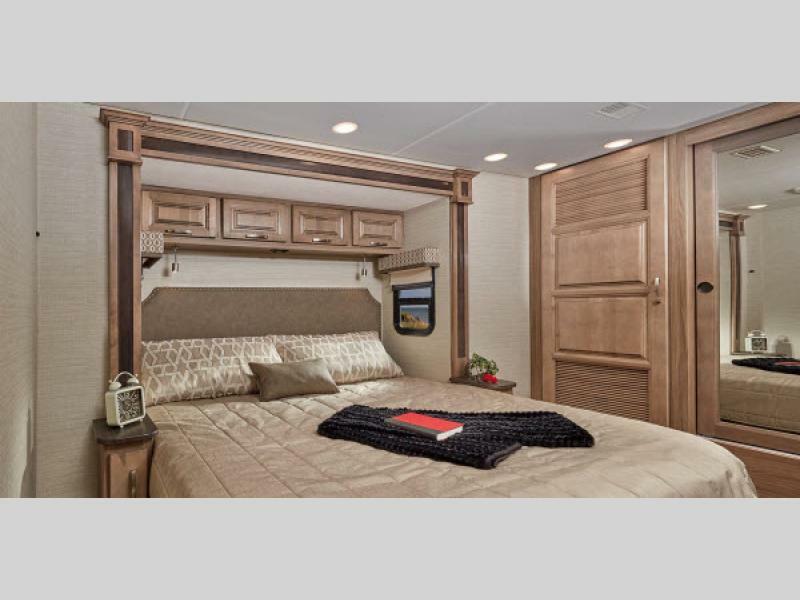 Each bedroom contains a king-size mattress and a 32" LED HDTV so that you can unwind and sleep peacefully after a long day of hiking in the woods. 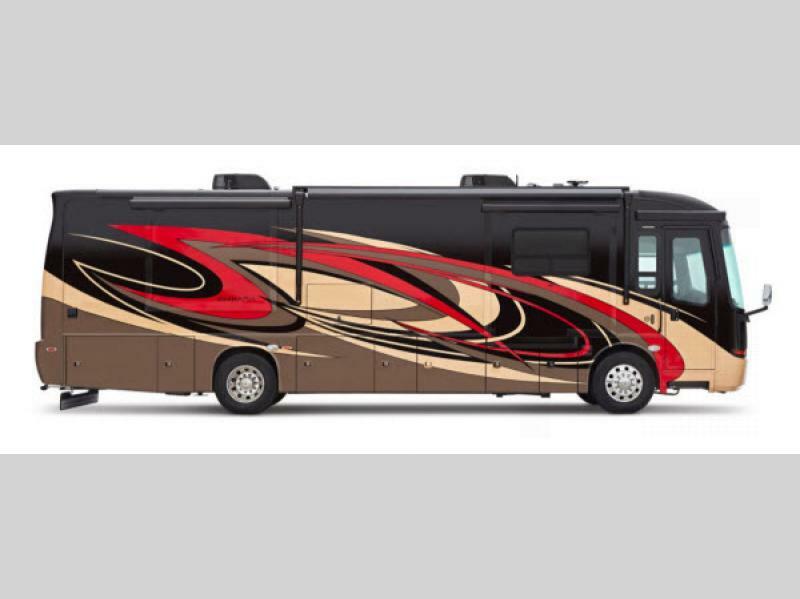 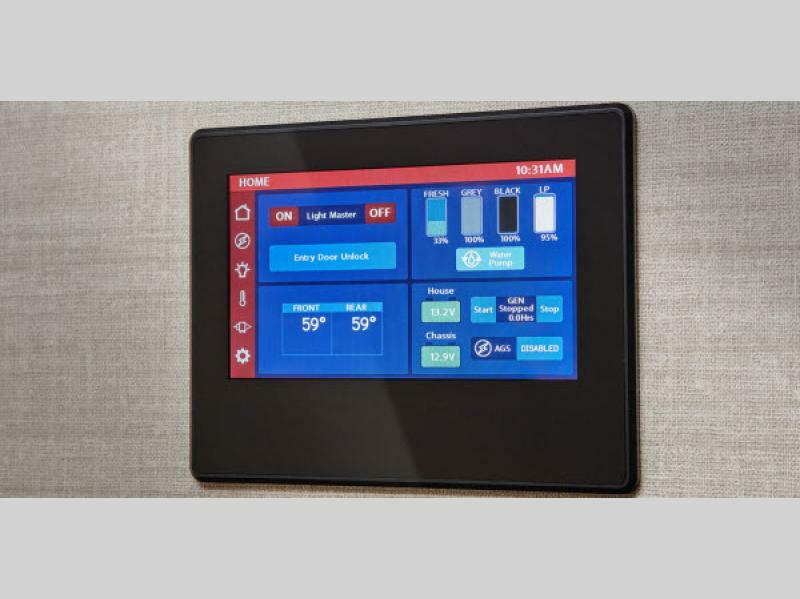 When you wake up in the morning, you will find residential appliances in the kitchen to make breakfast preparations just as easy as in your own home, and the entire coach is stocked with plenty of storage space, both on the interior and exterior, to make packing for your upcoming trip simpler than ever before. 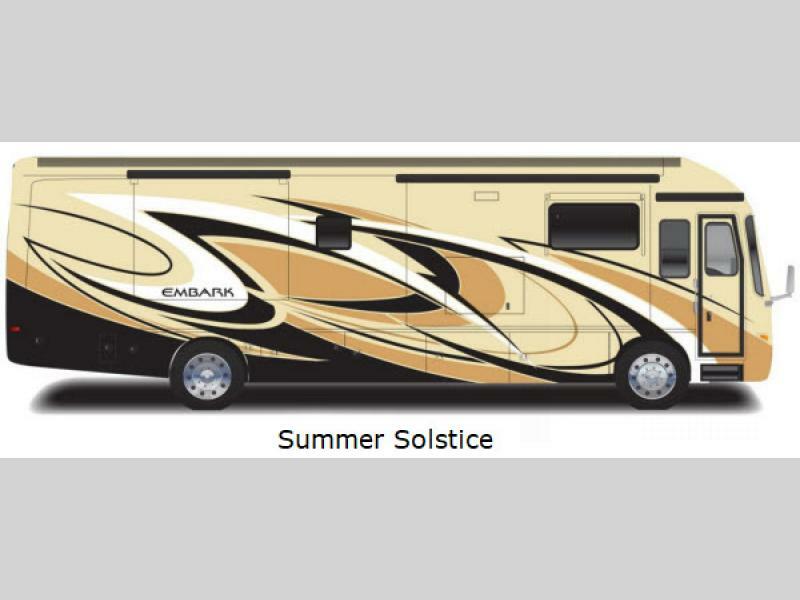 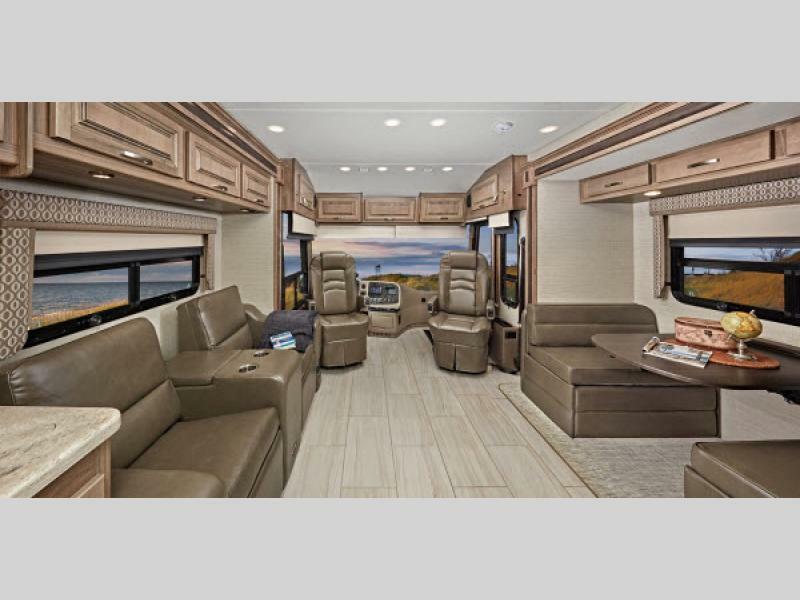 This Jayco Embark Class A diesel motorhome is a new line of luxury that you won't want to wait to experience for yourself!